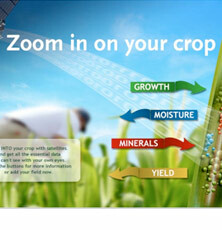 Difco International BV introduced Fieldlook crop monitoring in 2010 in Russia and Ukraine. Since that time we did several projects with o.a. Fritolay, AB Inbev, IFC, Bayer, Syngenta, Agroterra, Cherkizovo and others. Difco developed the know how to interpretate the unigue Fieldlook data into actions in the field. Through this know how optimum fertilizer and crop protection strategy can be choosen and adapted during the season for many crops such as sugar beets, winter wheat, barley and others.